Danica (Tika Sumpter) is a successful career woman living in New York City. She is on track to become the first black female Vice President of her company. Her life is interrupted when she receives a phone call from her mother (Whoopi Goldberg). 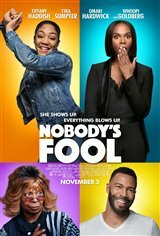 Her mother tells her that her sister Tanya (Tiffany Haddish) is getting out of prison and that she needs to pick her up and give her a place to stay. When Danica picks up her sister, the inevitable chaos begins. Tanya gets a job at a coffee shop where she insults the customers. It seems from the outset that Tanya is going to become a burden for Danica. As tensions rise, Tanya informs Danica that her online love interest "Charlie" is fake. Infuriated, the two sisters plot their revenge against a man who pretended to be someone he was not. Tanya puts into action a plan to hunt "Charlie" down and teach him a lesson.